It’s Cleft and Craniofacial Awareness and Prevention Month! This month marks an opportunity to learn more about cleft lip and palate, a condition that affects approximately one in 700 newborns globally. Despite being one of the world’s most common birth anomalies, there is limited public understanding about the condition and its causes, particularly in the developing countries where Transforming Faces works. Cleft lip and palate is a congenital condition that occurs when the parts that make up the lip and palate fail to fuse properly during the first 6-10 weeks of a woman’s pregnancy. It affects many aspects of a child’s life including their appearance, speech, nutrition, hearing and social development. 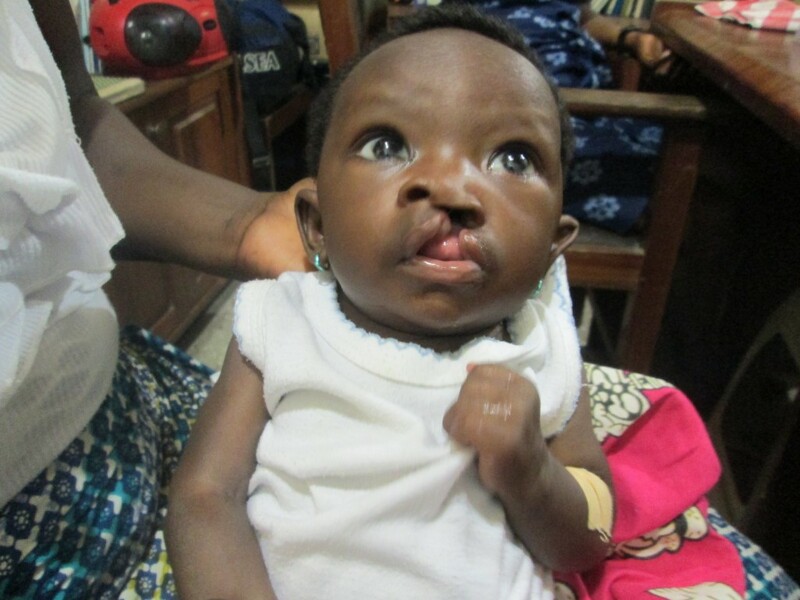 Thankfully, cleft lip and palate can be treated using a comprehensive team approach. Treatment requires collaboration from medical professionals from a range of disciplines including: surgeons, speech therapists, dentists, orthodontists, audiologists, social workers and nurse coordinators. 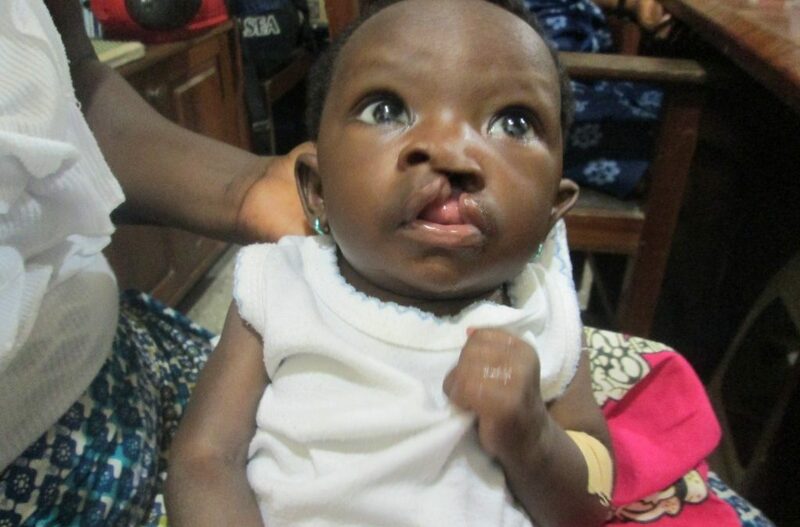 While the primary surgery to repair the cleft lip and palate is crucial, up to 20 years of rehabilitation are also needed for the patient to make a full and healthy recovery. TF works to ensure the full range of services are accessible and affordable for families in developing countries. 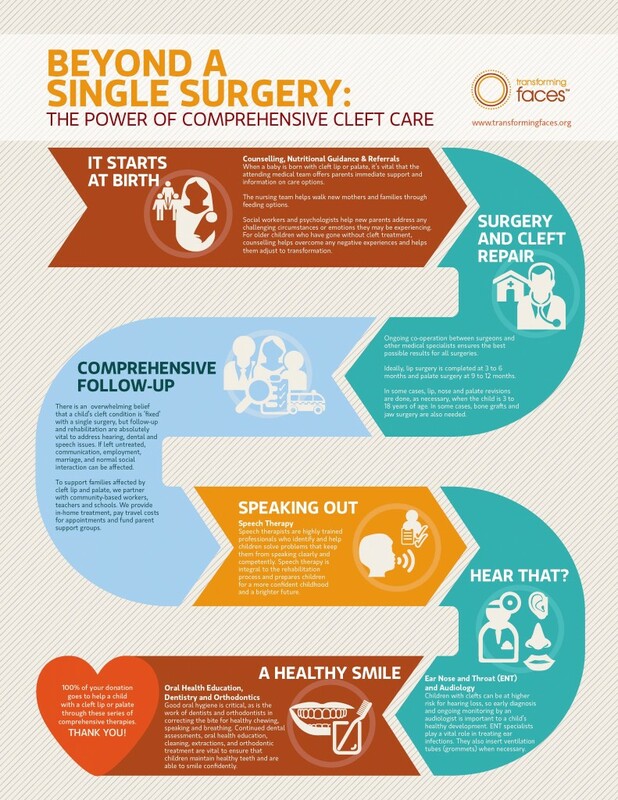 We go beyond the single surgery and focus on long-term, comprehensive patient care. Follow us at Facebook.com/TransformingFaces or @TransformFaces to learn more about cleft lip and palate, and how we are closing the gap in cleft care!